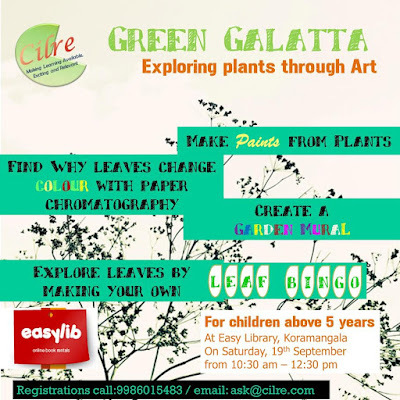 1) Green Galatta - Exploring plants through Art; This workshop will allow kids to explore the world of plants through art. 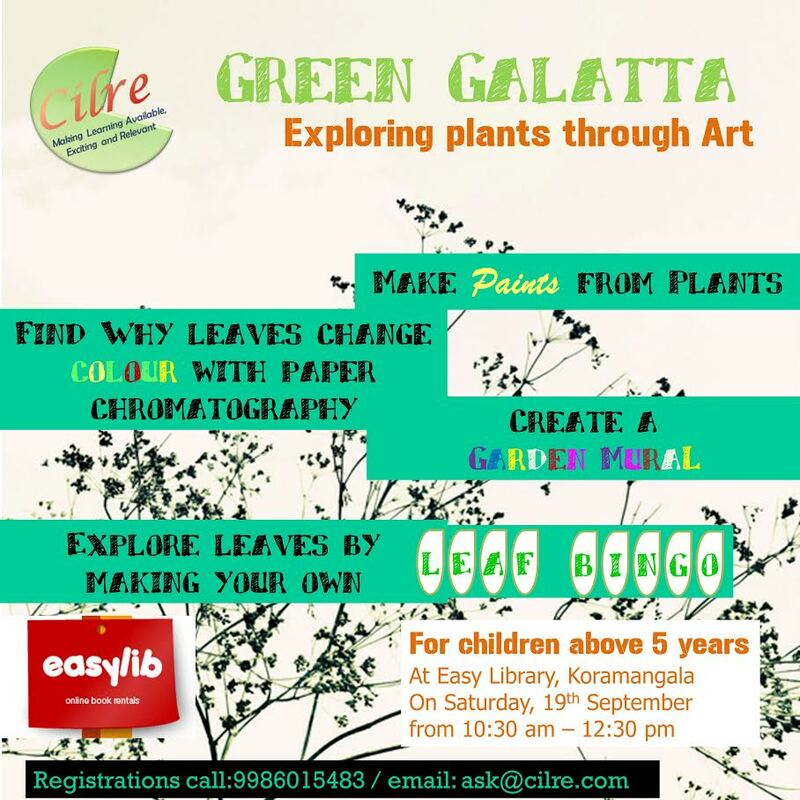 Kids will make natural dyes from plants, observe and appreciate the variety in leaves by making a bingo game with them. They will make a mural of a garden, and children will also explore their relationship with plants through this activity. They will make simple experiments to understand the color behavior of leaves. 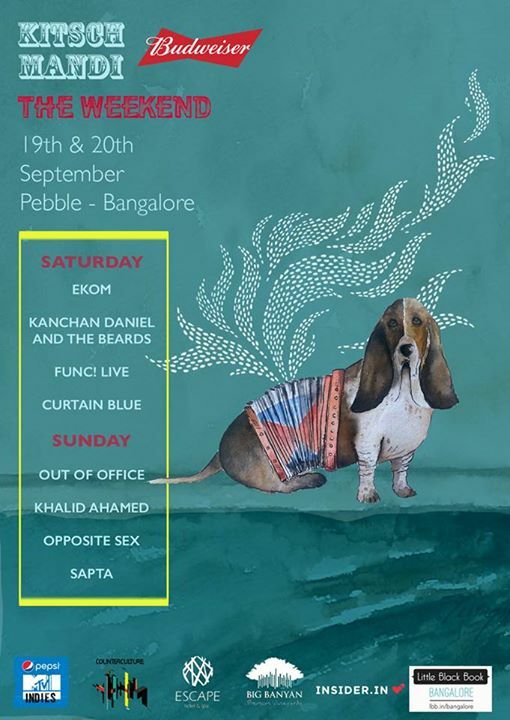 2)The Weekend at Kitsch Mandi! Two full days of the best indie bands (if you love MTV Indies type music) from across the country + A vibrant and innovative flea market with over 50 stalls to shop from + Art workshops + Live painting + music video screenings + food stalls and games. 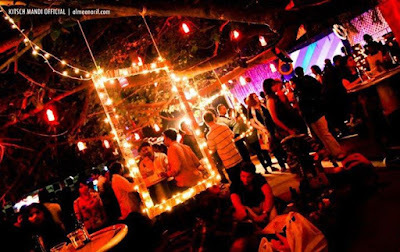 Saturday : 4pm to 1am.